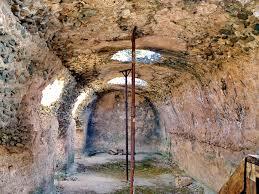 Book Cheaper Car Hire at Olbia Airport - Compare SUV, MPV, estates & convertibles in Olbia. 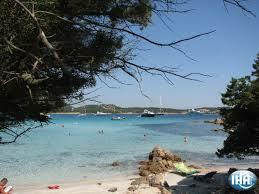 Check our discounted car hire prices for Olbia in Sardinia. Compare cheaper rental rates for SUV, MPV and minivans, or your next holiday auto. Choose from a range of quality vehicle suppliers, like:- Noleggiare, InterRent, Maggiore, Locauto, Budget, Europcar, Goldcar, Firefly, Avis and Keddy. If prefer to collect at a more leisurely pace, hiring cars at Olbia Train Station is also an option. Most of vehicles come with all the usual packages, like Collision Damage Waiver (CDW), unlimited mileage and a fuel policy ofget full/return full. CDW is reduced, but you can either but excess cover claim through us, or reduce the excess by paying extra on arrival with the supplier. is included the the price with InterRent. also provide a luxury range of cars to rent at the airport, like the Audi A5 convertible, and Porche Panamera. Vehicles on Olbia Ferry passengers, cannot have cars delivered to the port. You will need go train station or airport, as hotel delivery service is also not available. Ferriesarrive from Genoa, Livorno, Naples and Rome. Changes after booking are free of charge and you can cancel for free within certain time restrictions, so check terms and/or voucher. Olbia, which started off as a small sleepy port town, is now a major Sardinian tourist destination. Olbia has its own international airport with regular flights from all major European cities plus some charter flights at weekends. The transformation to one of the most famous tourist attractions in Sardinia, began in the 1960's when it not only experienced a baby boom, but also a tourist boom. The current population of Happy Town, the literal translation for Olbia, is over 50,000, dare I say, happy people. Olbia is rich in heritage with the recent discovery of twenty four shipwrecks, two of which date back to the time of Nero. 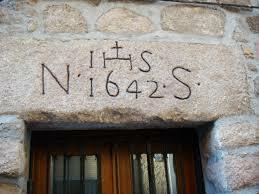 Another sixteen date from the 5th century and the remainder are believed to date from the period of Christ. Take time to visit the nearby Pedres Castle, which is believed to be on the few examples of the construction style used in the period of Visconti in Gallura. Save when pre-hire a vehicle for Olbia Airport, here. Rent Olbia automobiles at lower prices. Prices reduced on SUV, saloon, estate and minivans for Olbia Airport. If this is of interest then a short distance away is Castello di Sa Paulazza with origins in the Byzantine period. When strolling through charming streets of the old town you will find no shortage of restaurants, bars and outdoor cafes all doing a roaring trade. Be sure to set aside time to visit the ex Cathedral, which is dedicated to a bishop who lived in the third century. The town offers wholesome food with bars that offer low cost produce and local cheap wines. Up market restaurants also exist should you wish to dine out on fine foods and wines. If off to Rome or Venice later, then get mainland car hire in Italy here.